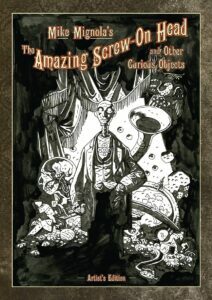 Mike Mignola’s The Amazing Screw-on Head and Other Curious Objects features the classic Eisner Award-winning story of Screw-on head’s epic battles with Emperor Zombie and a host other bizarre and quirky villains, all in the greatest Mignola tradition! 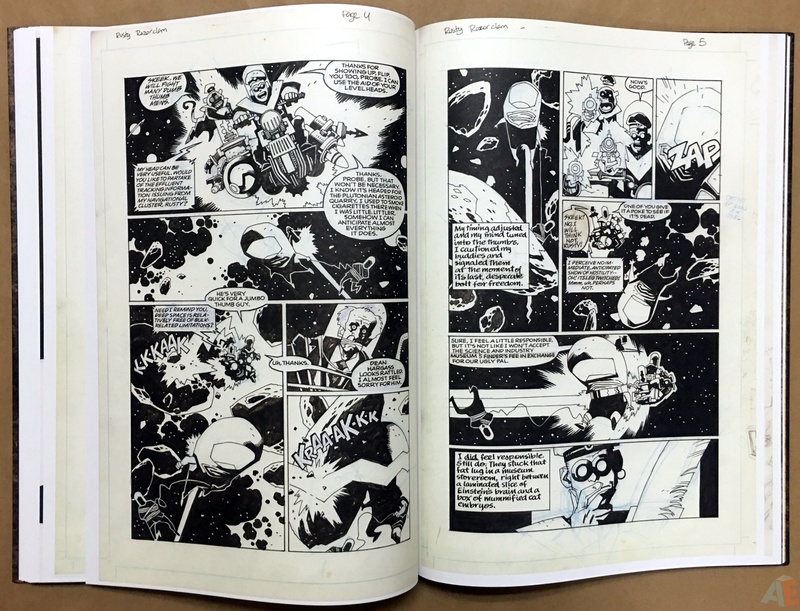 This collection will also feature a great selection of other stories as well as an expansive gallery section. 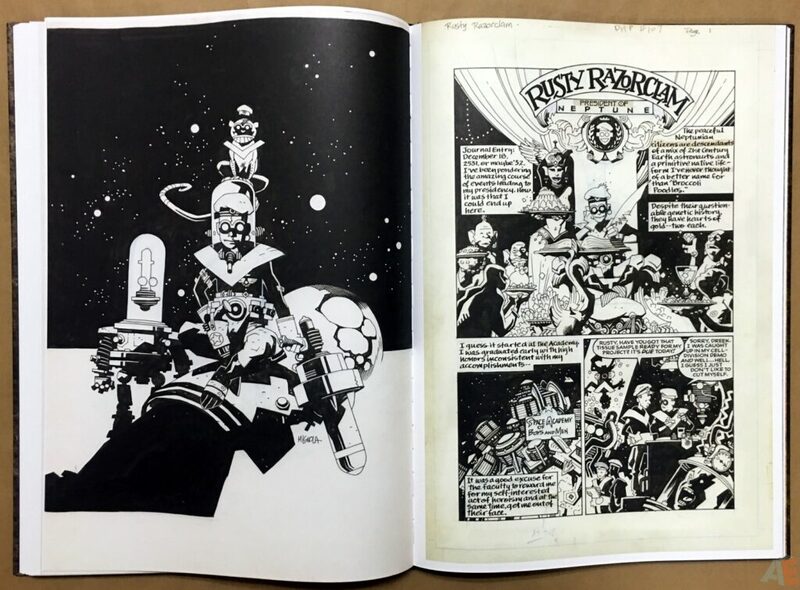 I consider the stories collected in The Amazing Screw-On Head and Other Curious Objects to be the best work I’ve done in comics—certainly they are my favorite—so I’m thrilled to see them getting the IDW Artist’s Edition treatment. 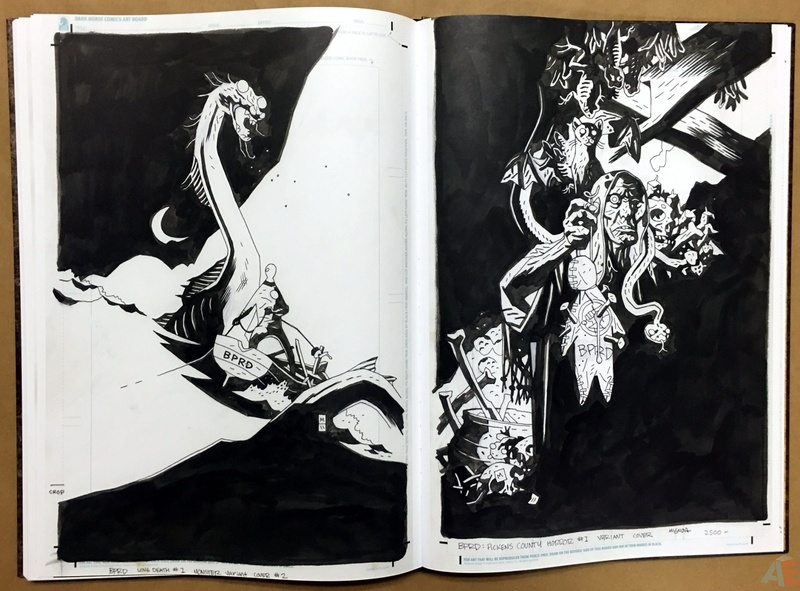 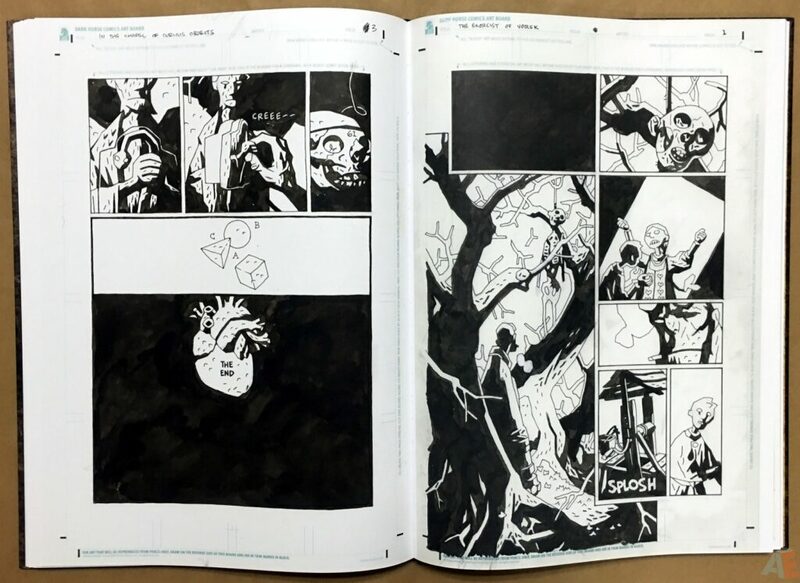 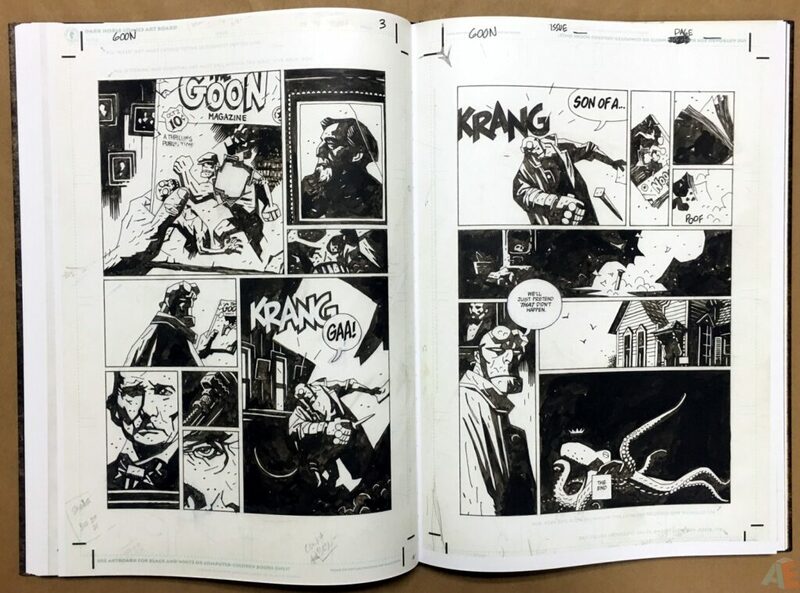 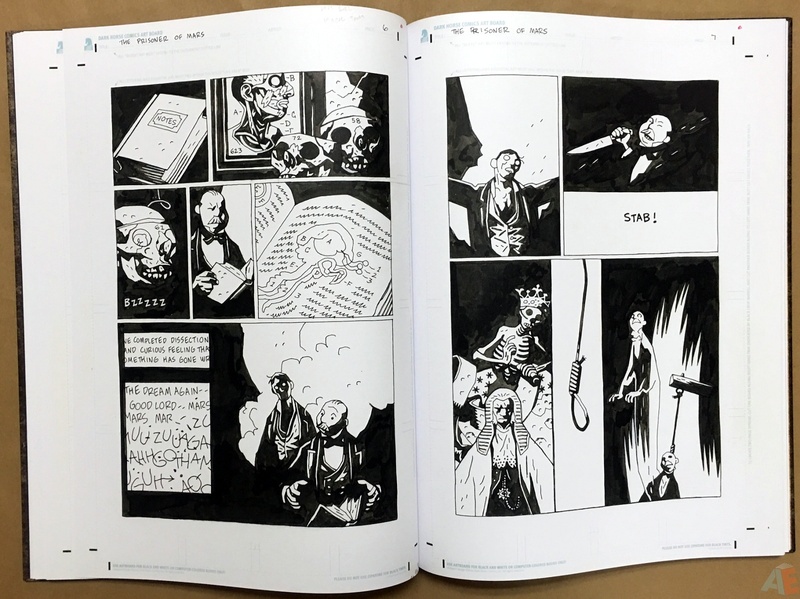 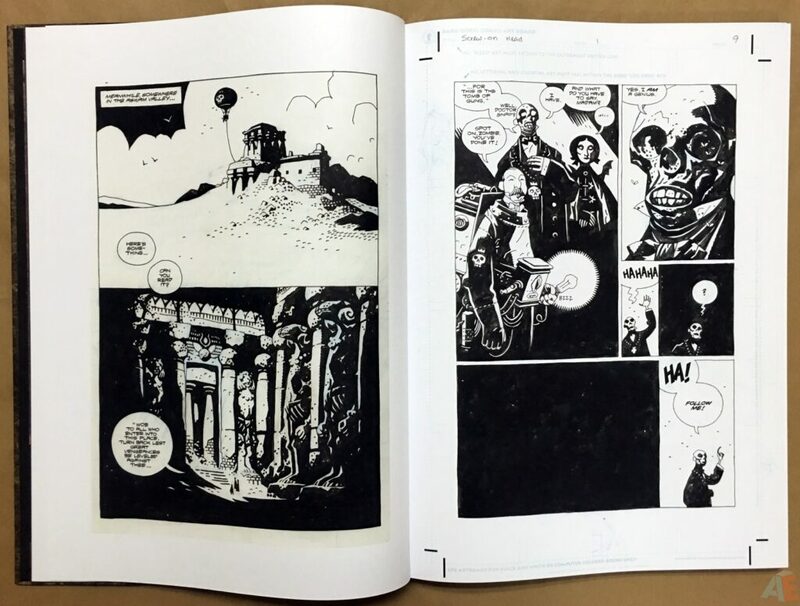 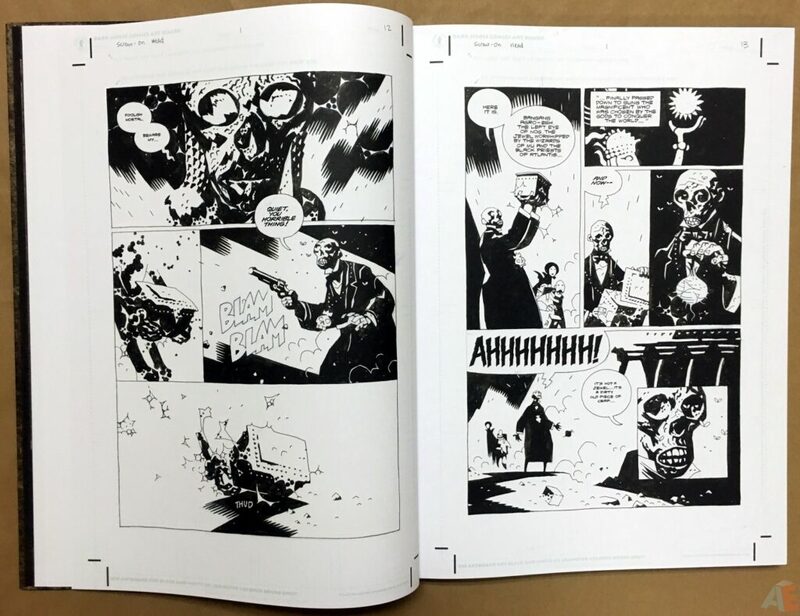 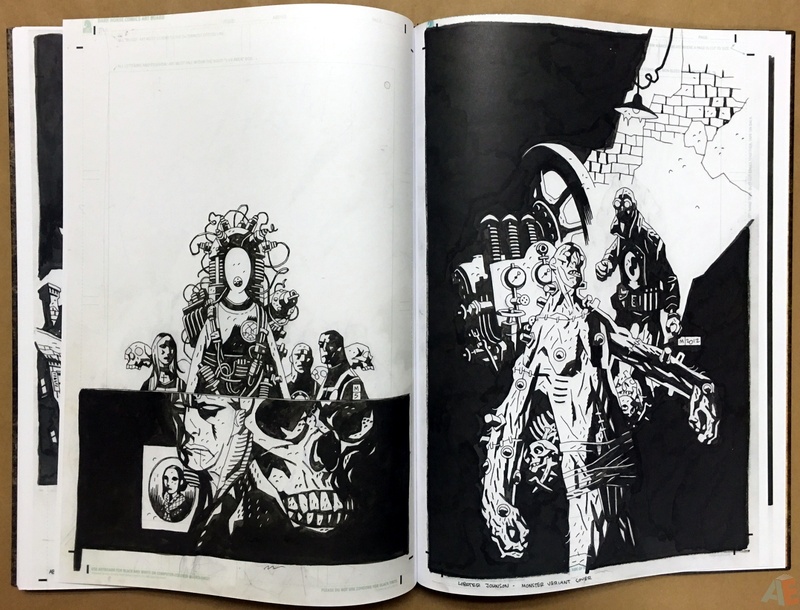 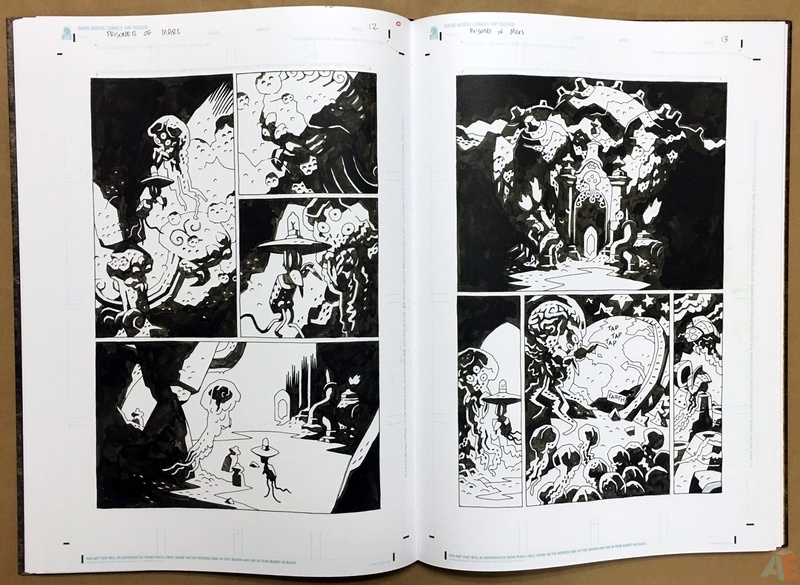 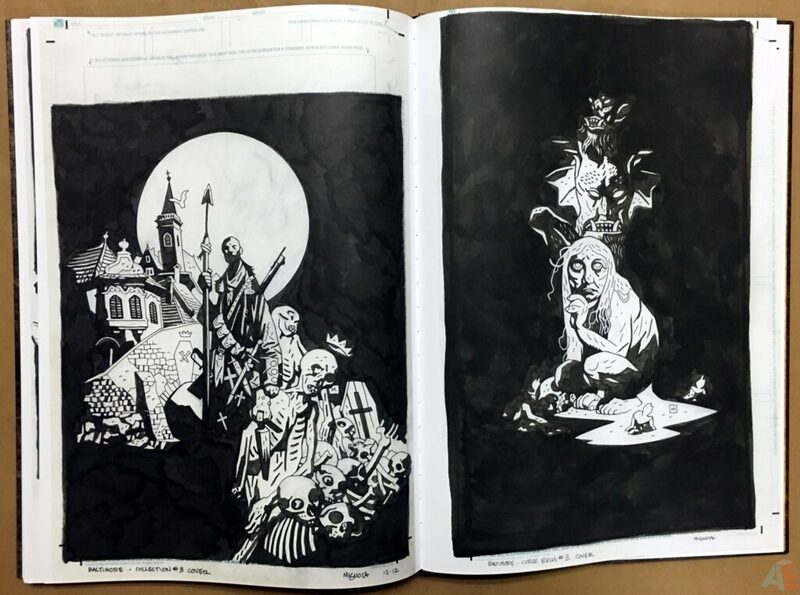 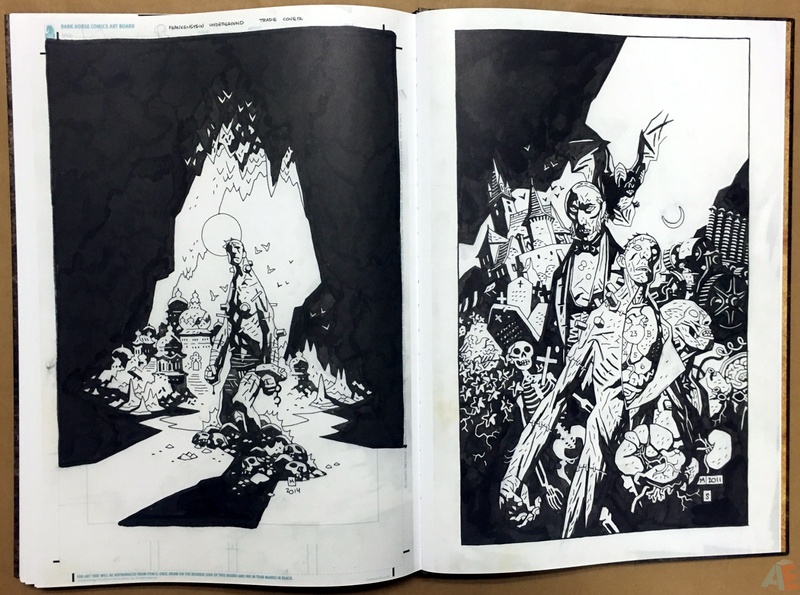 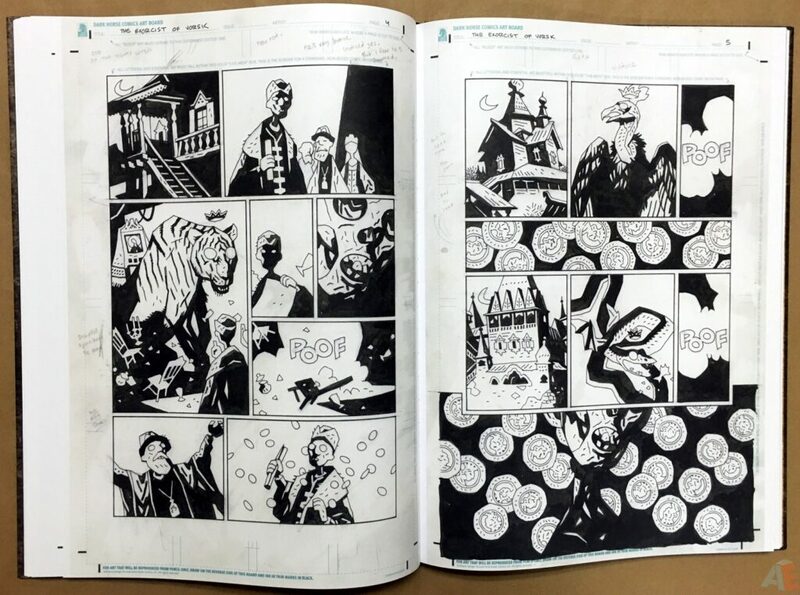 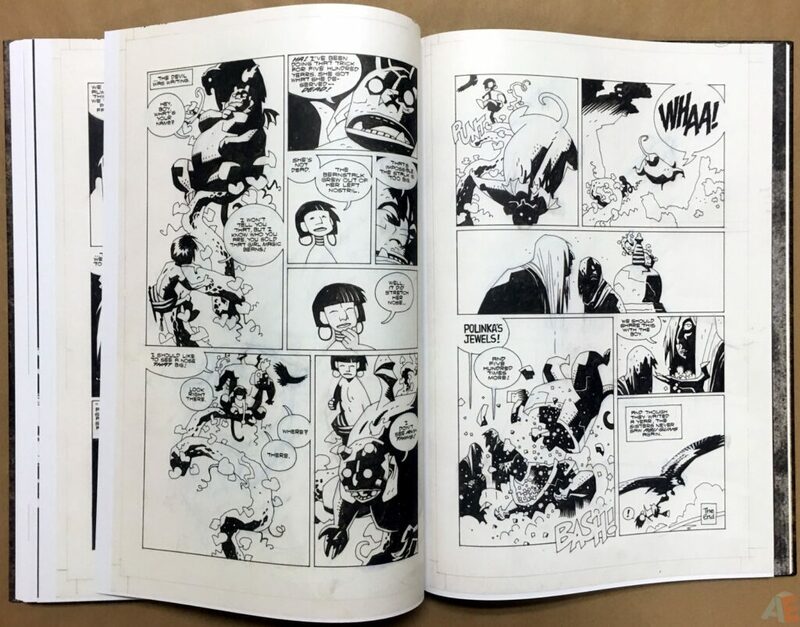 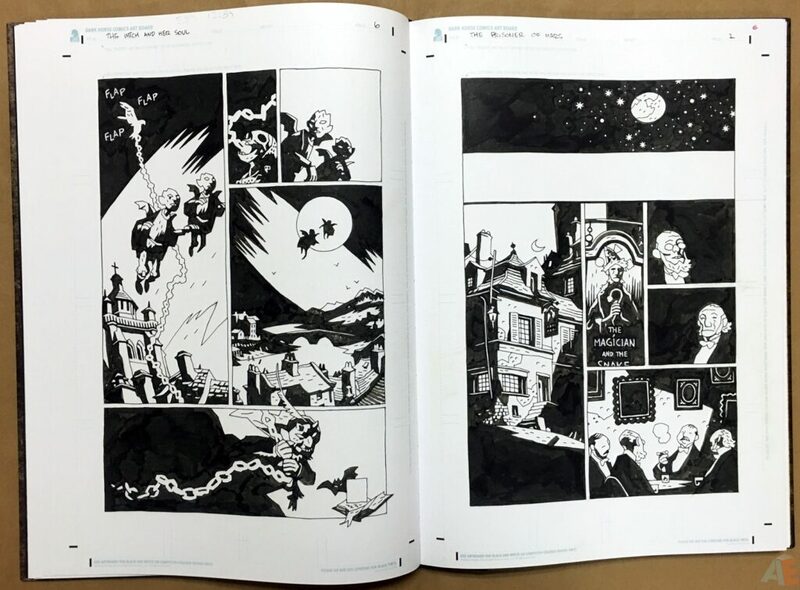 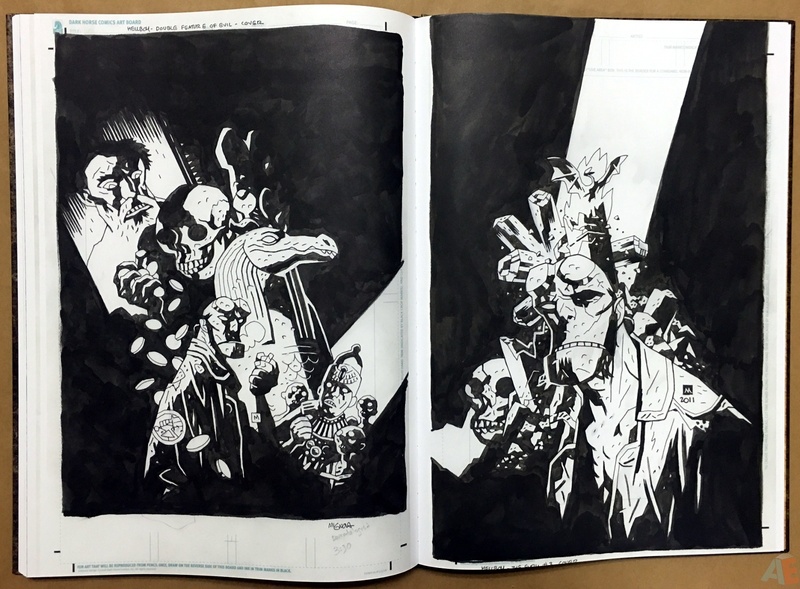 All pages are scanned from original art, no fillers, with most if not all coming from Mignola’s personal archives. 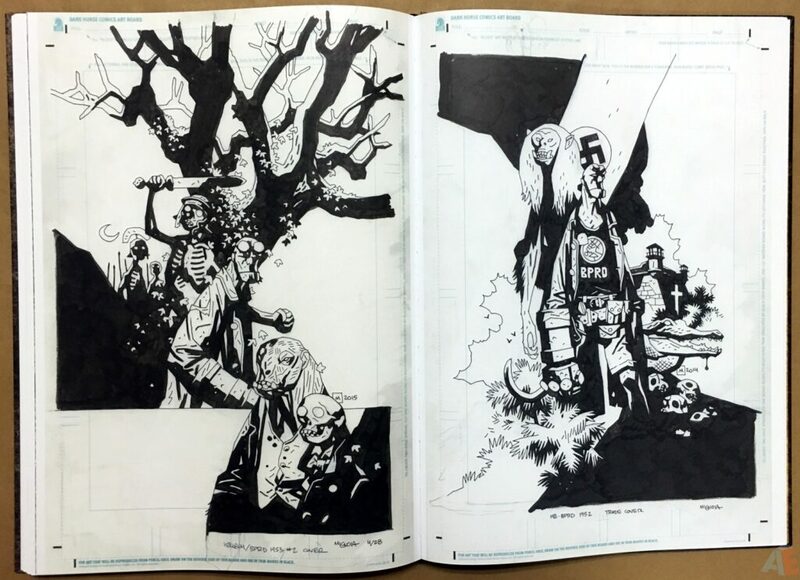 Blacks are such a key part of Mignola’s work that they dominate every page, and the blacks here are murky with such varied gradients. Unfortunately half the included stories have no lettering, and with the extensive cover gallery only about 25% of this book contains pages that can be read. 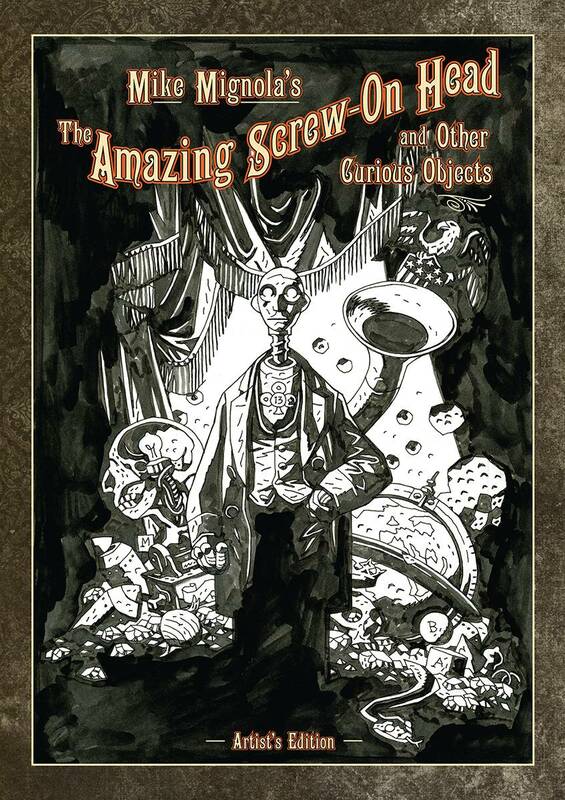 The Amazing Screw-On Head and Rusty Razorclam are wonderfully fun reads, and only improve in this format. 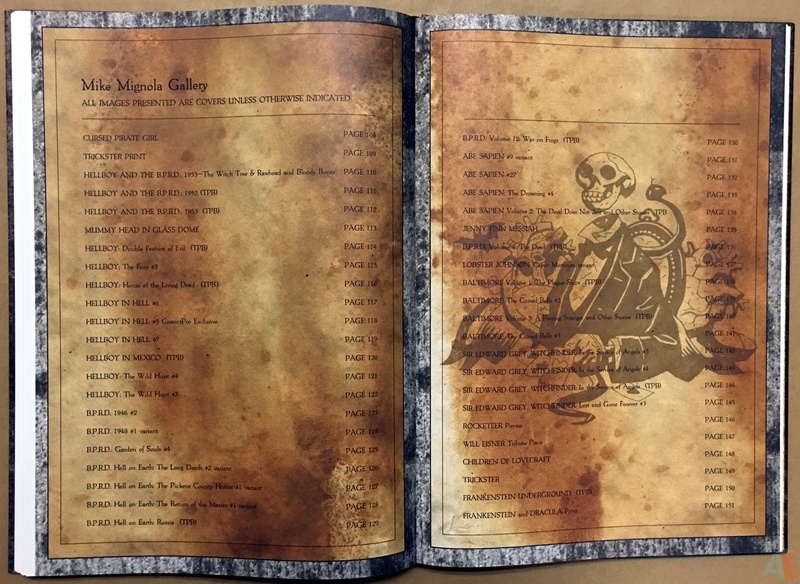 Few pages show any aging, with Rusty Razorclam being the oldest here and is slightly yellowed. 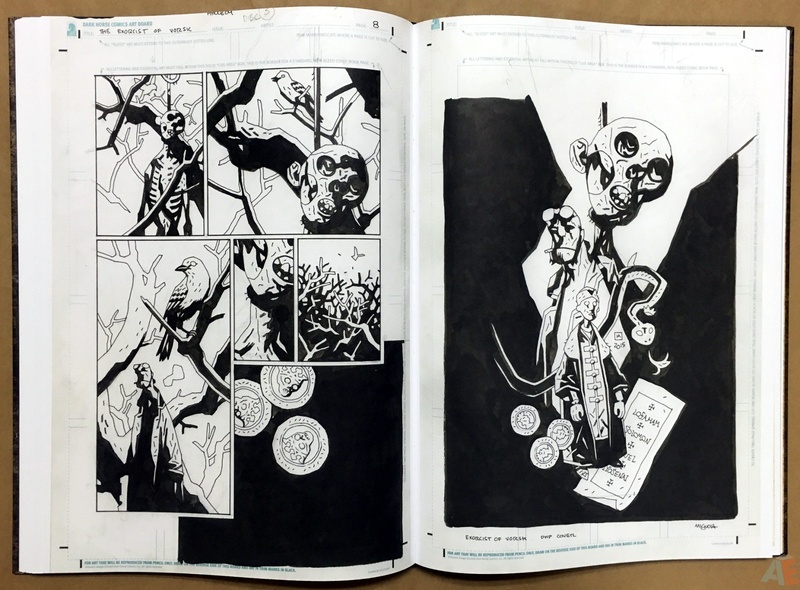 There are some interesting notes along page margins, along with the occasional small illustration. 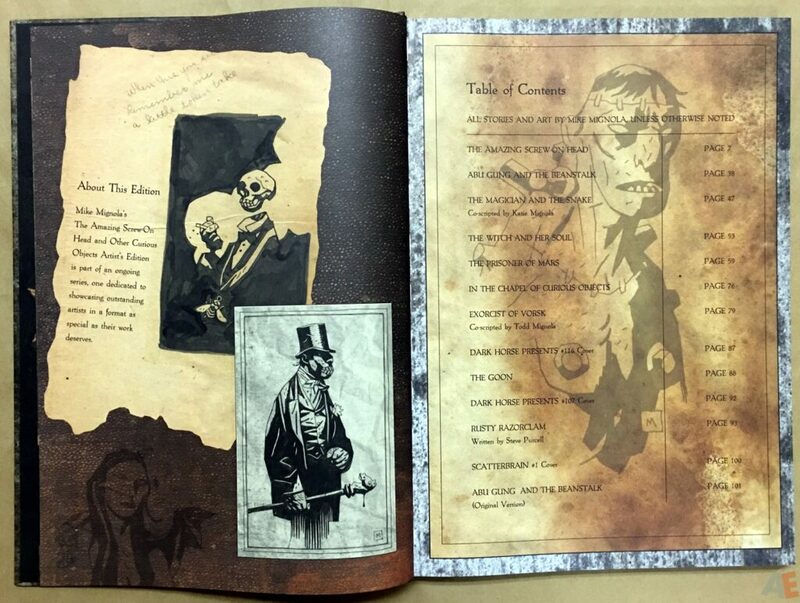 This book was all about textures, layering, aging and creepiness. 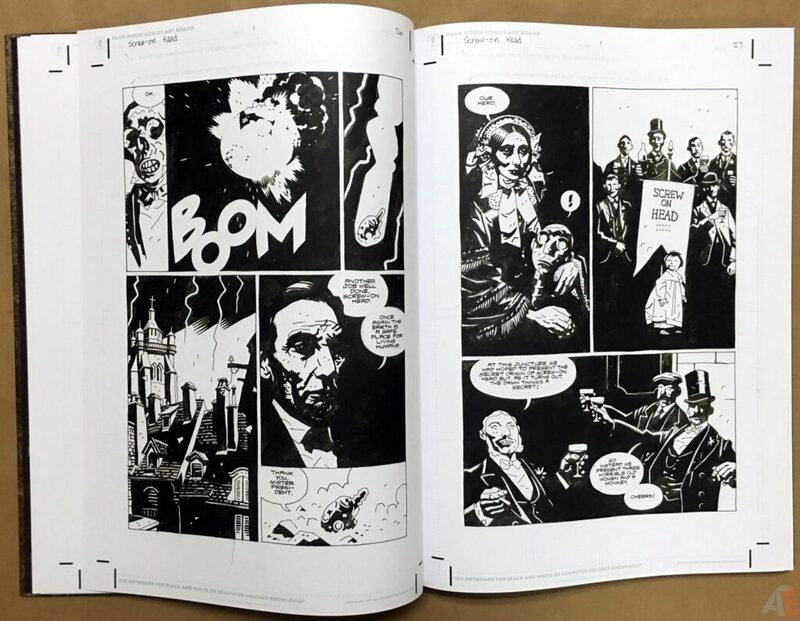 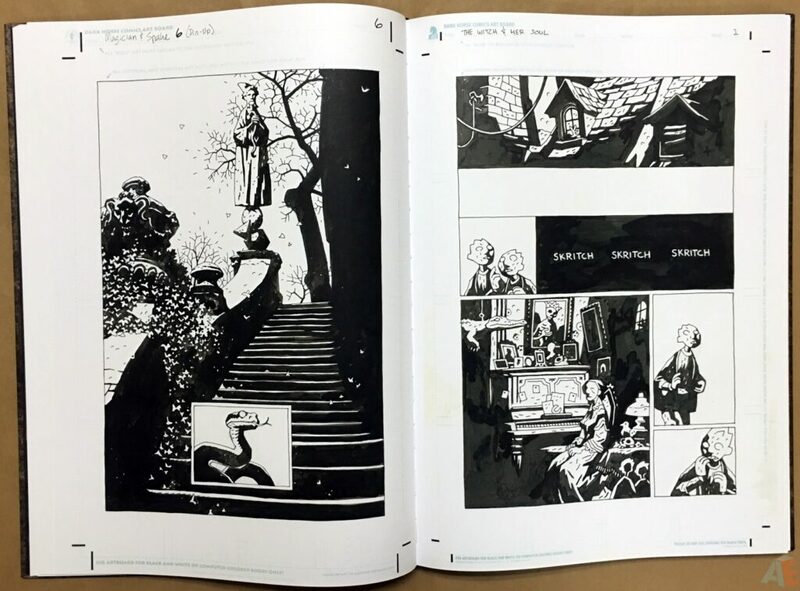 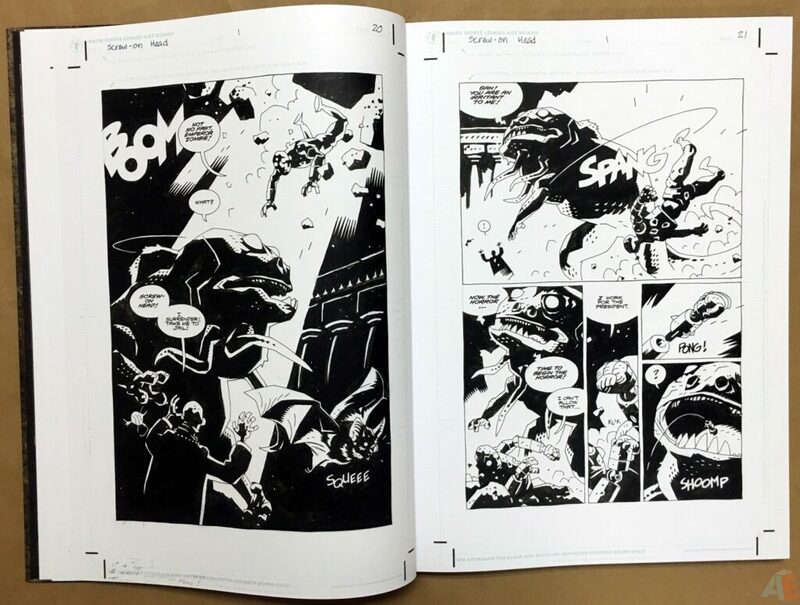 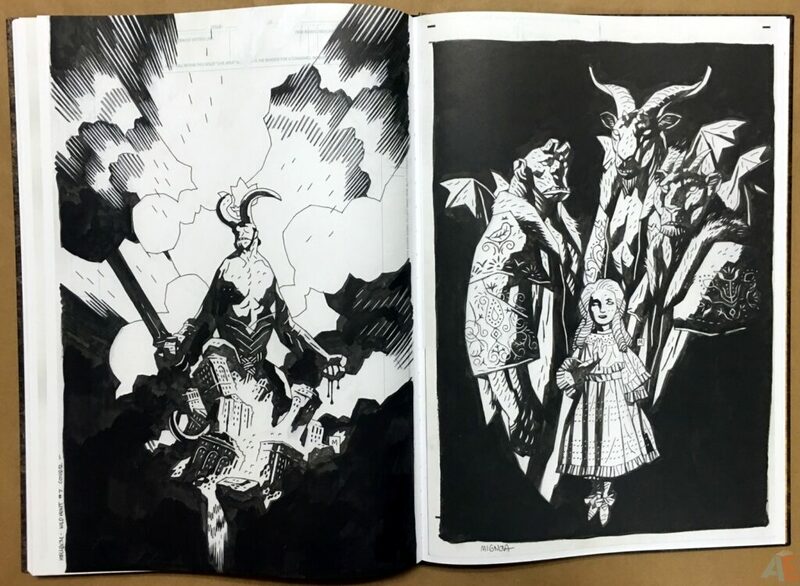 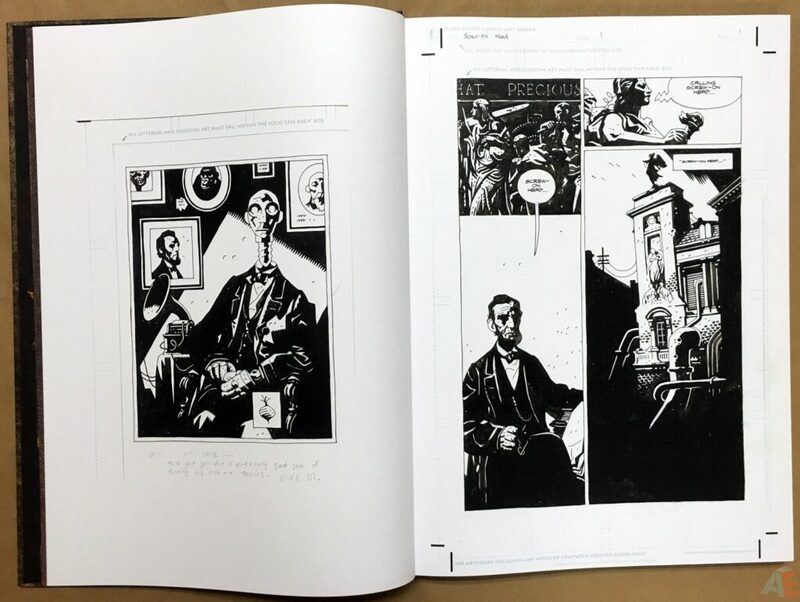 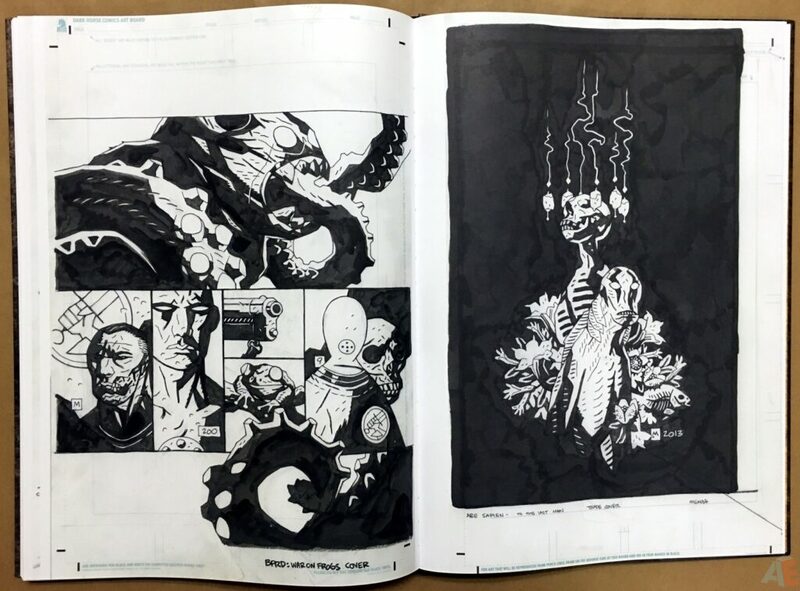 With the Hellboy Artist’s Edition, I had picked out panels and images from the comic stories to use as design elements. 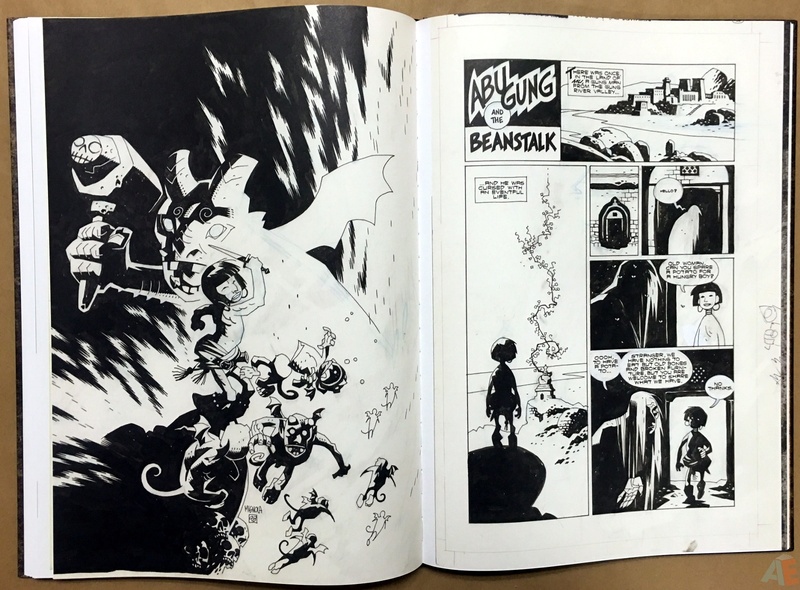 With this book, Mike provided me with a folder full of additional illustrations that weren’t part of the stories. 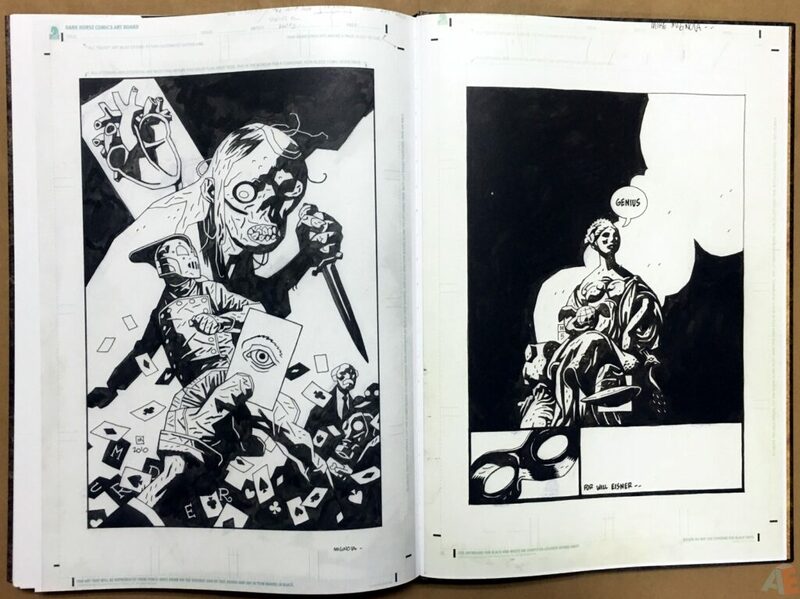 These worked out great, because they were created as stand alone pieces. 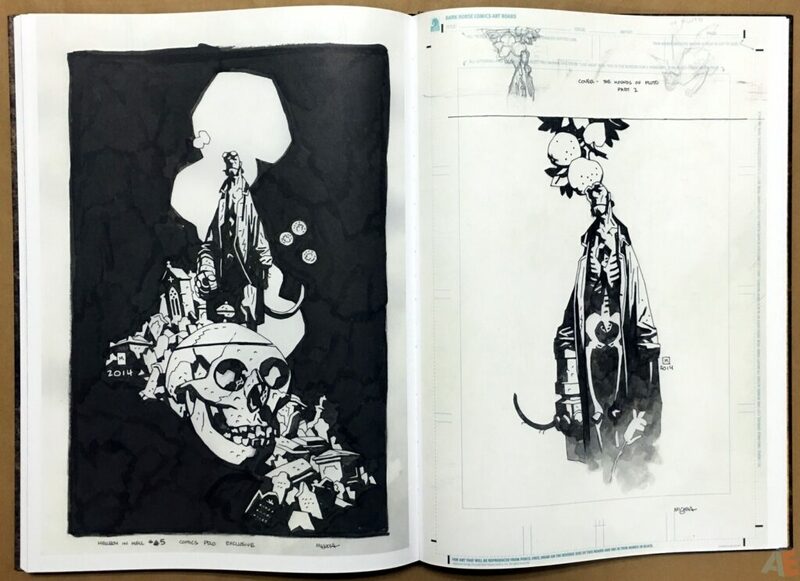 When I look at the design pages, I wish I would have been able to add one more thing. 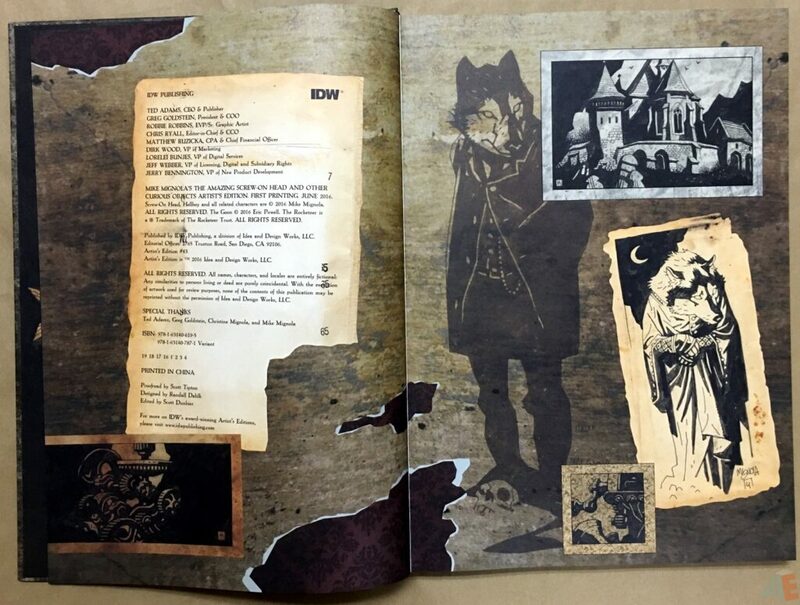 I think the only thing missing would be, the ability to crack open the book and be hit right in the nose with the smell of mold and mildew. That would take the reading of this book to whole other level. 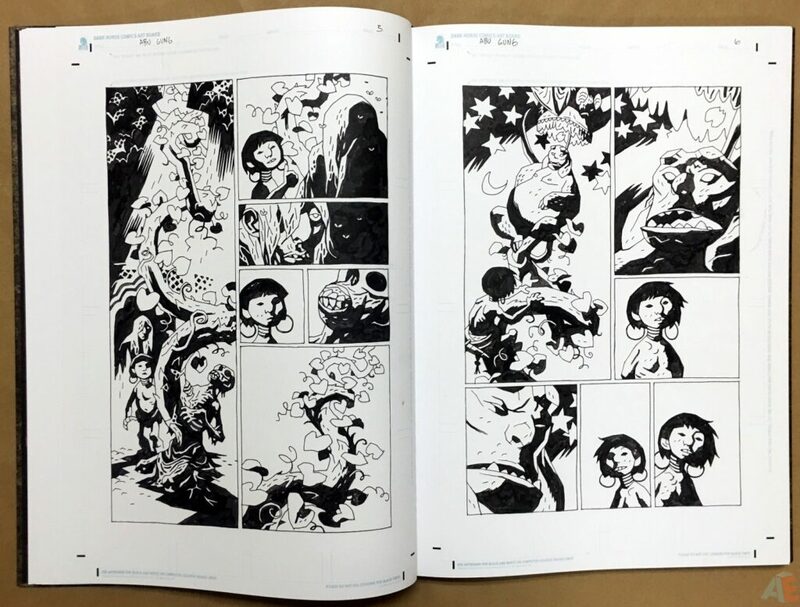 Production is excellent, as always. 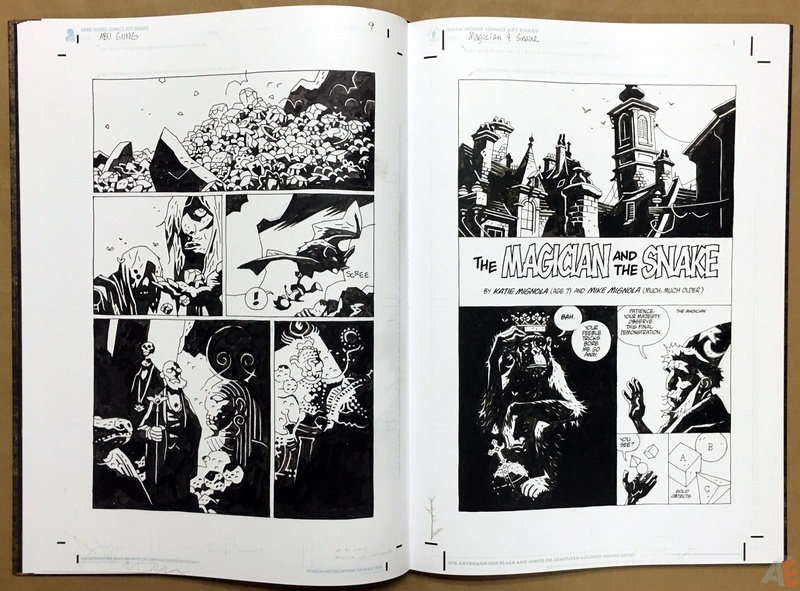 Heavy matte paper stock in a sewn binding. 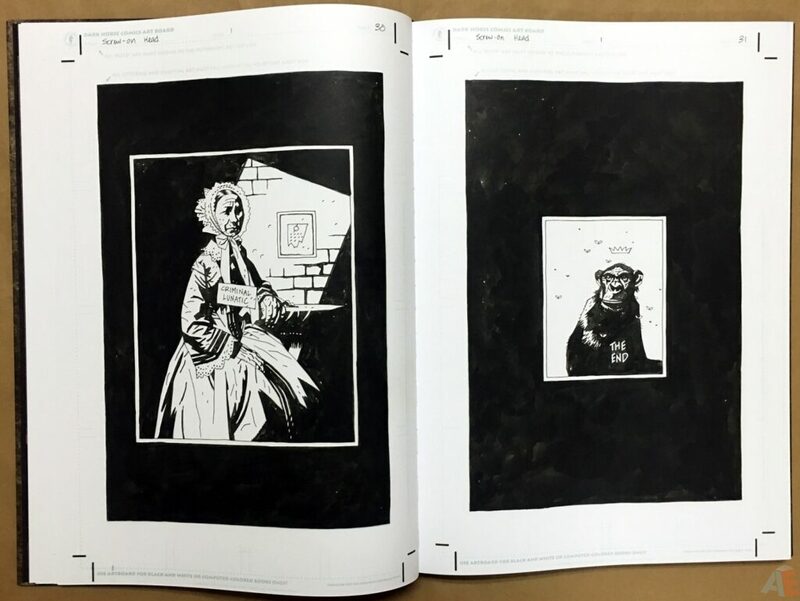 Almost all pages will lay flat with a light pressing. 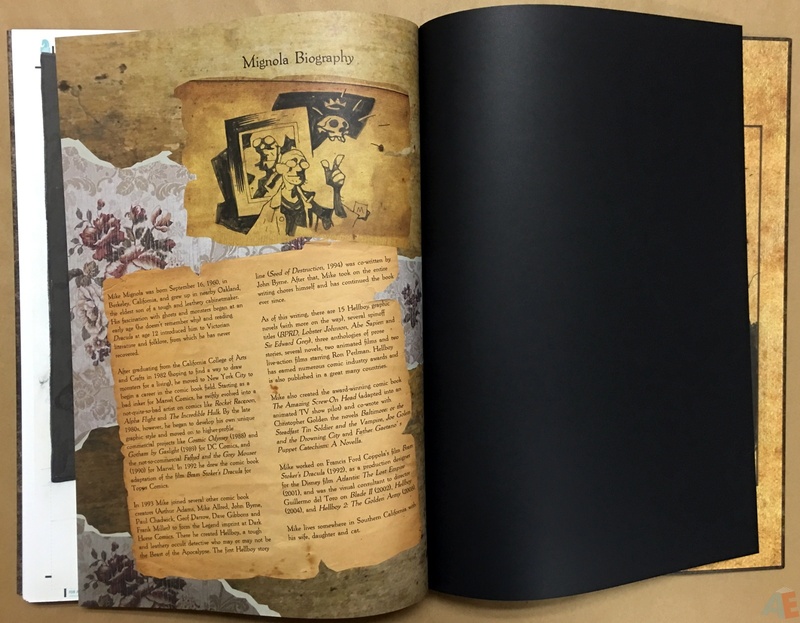 The book comes shrinkwrapped inside a cardboard case with a colour sticker showing cover art and UPC.